When it’s time to sell, picking a price to list your home at isn’t as easy as you might think. It’s a known fact: the longer a home sits on the market, the further the price drops. This is why it’s imperative you price the home right the first time. The first factor when determining price is the market. Sellers must understand the reality of the market they are in and how it’s moving. The direction at which a market is going and the speed at which it’s moving determines pricing strategies. There are three markets: a buyers’ market, a sellers’ market, and a balanced market. Inventory: How much is for sale and is it rising or falling. Days on Market (DOM): How long it is taking properties to sell. Price per Square Foot: A good comparative indicator of prices. Changes in the Local Landscape: Monitor changes in major employers, shopping, schools, other services in the community, and changes in local laws that impact housing. More inventory means more sellers which means prices go down; and more buyers, less inventory, means prices go up. There are three prices for every home and the market will determine which price is realistic. Running a comparable market analysis, or CMA, will give you your premium, market and wholesale pricing. Effective pricing begins with identifying the right comparable properties, properties that have common qualities and features. Focus on four main factors when running comps: location, size, amenities and condition. Appraisers focus on the same factors, too, so take into account your home’s year built, architecture, and interior and exterior finishes and updates. The right comps make a valuation as accurate as possible; with the analysis giving you like figures to set a listing price. Remember, automated valuation calculators, like Zillow’s Zestimate, aren’t exact. They can pull inaccurate, outdated or even false data from public records and MLS, giving you a figure that’s not even comparable. Your listing is going to get the most attention from qualified buyers within the first 48 hours of hitting the market. That’s why pricing the home correctly right out the gate is absolutely vital to selling the home quickly at fair-market value. If a home sits on the market for more than 14 days, the reason is price. If it’s been two weeks, it’s time to re-evaluate the price of their home. Research shows that a house that has to chase the market with repeated price drops will sell for less. Your agent can fix the problem with price adjustments to get it sold within a certain time frame, but it must be done gracefully. And price reductions after the home is listed are never going to attract nearly as much buyer interest as new homes on the market. Ultimately, the market tells you if you are on track. 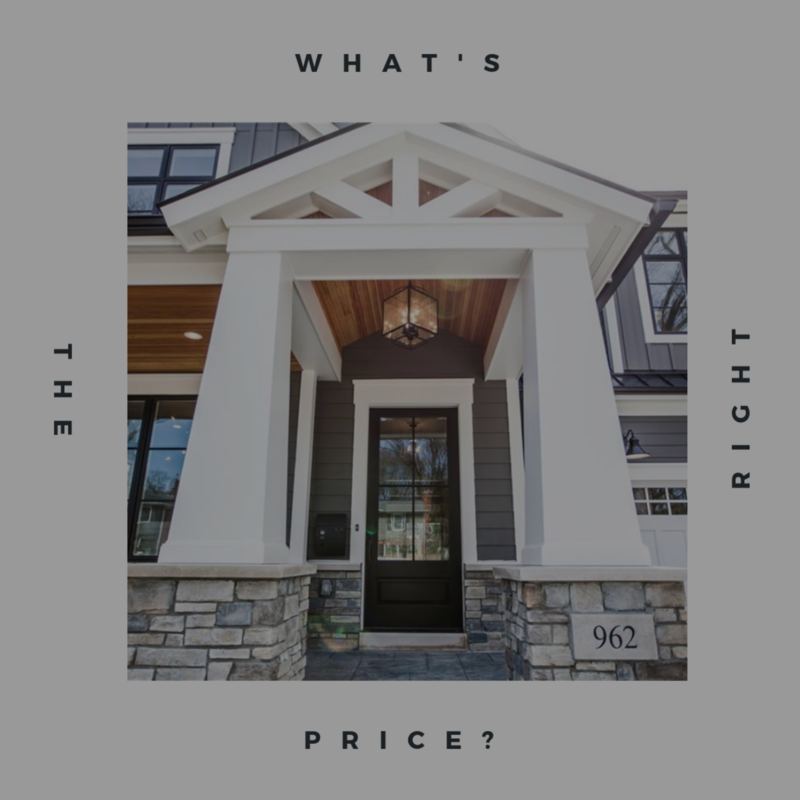 It’s not typically wise to go with an agent who offers the highest sales price; instead, ask prospective agents how they calculated that sales price, whether it lines up with the typical price-per-square foot in your area, and how long homes priced in that range tend to stay on the market. All-in-all: The housing market is cyclical. There are periods of rapid appreciation followed by periods of stabilization or depreciation. By studying the market, you can learn to foresee such trends and price your home accordingly.